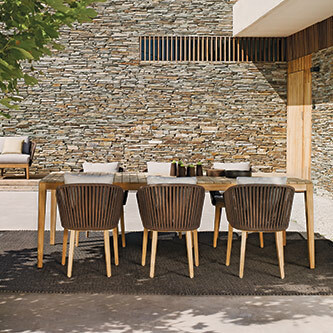 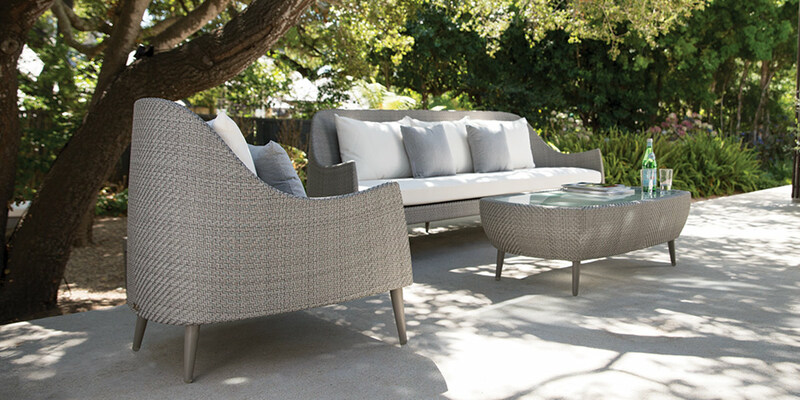 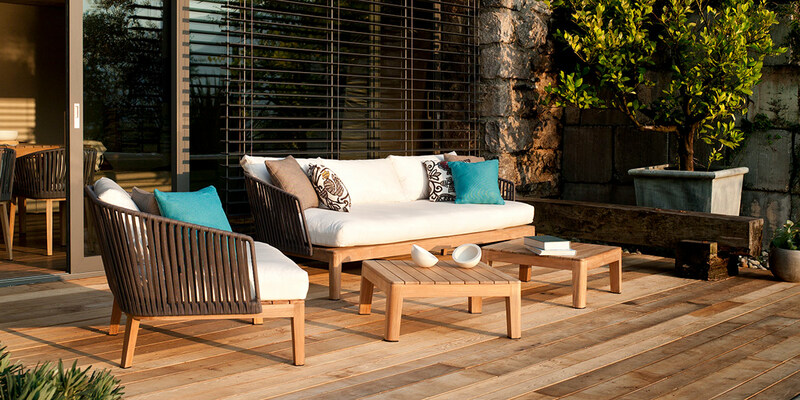 The intriguing juxtaposition of solid hardwood paired with an airy, open weave is perhaps what makes the Mood collection so captivating and well suited for contemporary outdoor spaces. 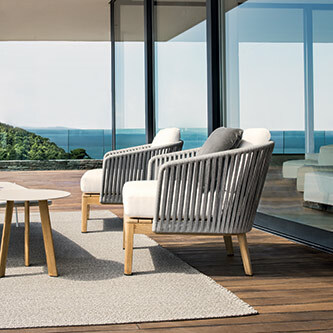 Designed by Studio Segers for Tribù, the Mood collection is undeniably modern, yet with a distinct organic presence. 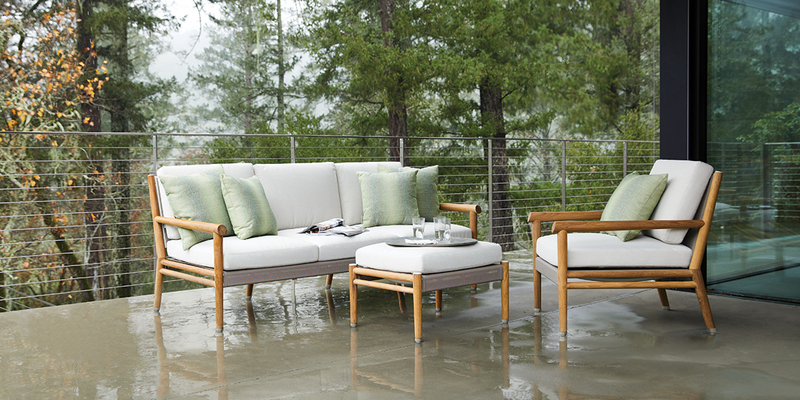 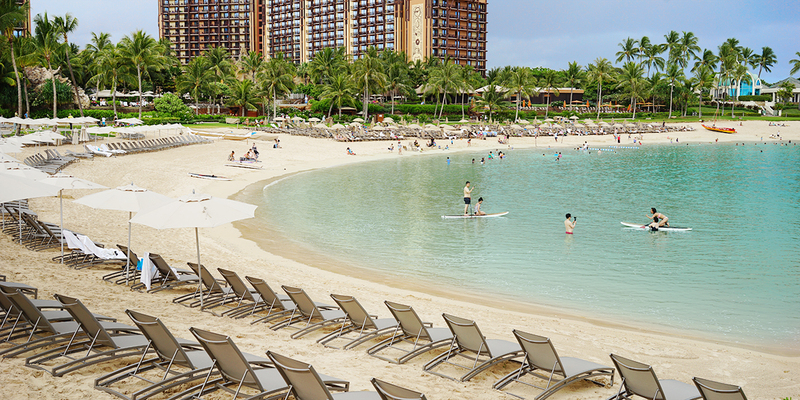 With a base of sustainably harvested premium teak, the collection’s elegantly curved aluminum seat back is expertly woven in weather resistant polyolefin, creating a cozy, yet resilient sling.